We have found at United Nissan of Las Vegas that there are five main causes of your check engine light being on. Oxygen Sensor – your oxygen sensor monitors the unburned oxygen in your exhaust system. When the oxygen sensor is faulty, it will cause your engine to burn more fuel than needed. Gas Cap – Loose, missing, or damaged gas caps will not seal the fuel system and pressure will be lost. 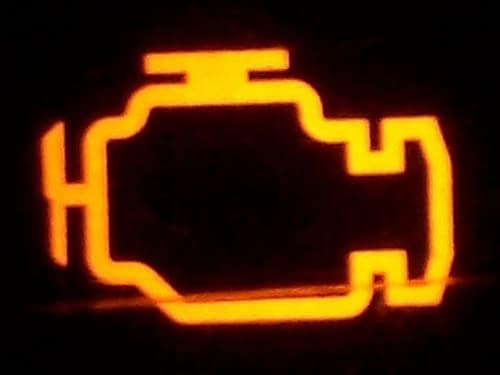 As you can see, there are many causes of a Check Engine Light. The best way to identify the root cause and take the right corrective action is to have Nissan Check Engine Light Diagnostics with a factory trained Nissan certified technician. Our expert technicians have vast expertise and special computerized equipment to target the problem and make the right maintenance or repair service. When you get sick and need medical care, where do you go? We hope you go to a real doctor. The same goes for your world-class Nissan vehicle: you just don’t have it serviced by any mechanic and expect it to stay healthy. The best way to serve the health of your Nissan vehicle is with a factory trained Nissan certified professional. Schedule an appointment today at United Nissan of Las Vegas to schedule a Nissan Check Engine Light Diagnosis with one of our factory trained Nissan certified technicians.